Festival celebrations for a great cause! Following the heels of Las Vegas Music & Wine Festival 2015, our founder wanted to create accessible and engaging music experiences for communities in need. The Festival took a small break while a nonprofit charity was formed: Notes with a Purpose. 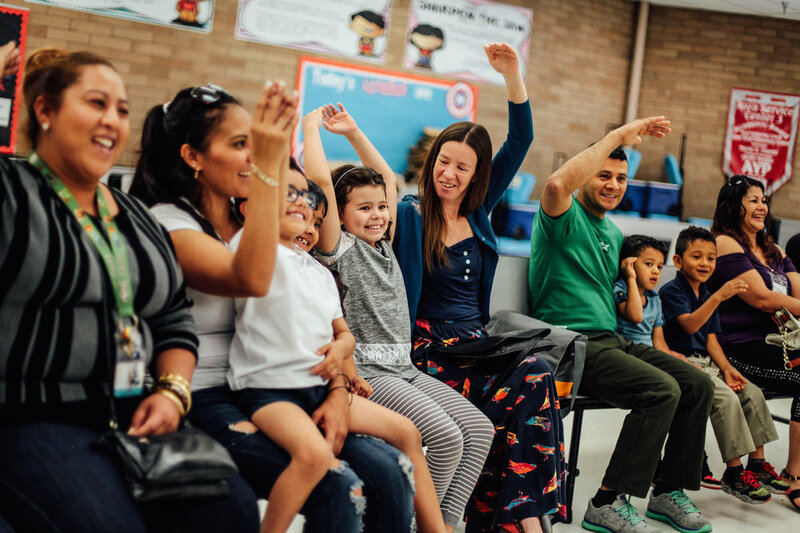 - reached 2,300 underserved children through "the music juicebox series," which presents Carnegie Hall teaching artists to elementary school students. - reached over 13,000 adults and children (and counting) at the las vegas rescue mission through "Wednesdays Live at the Mission." The series provides live music to homeless and addiction recovery clients every wednesday with high school music student volunteers. - received the father merlet community service award in may 2017. - is bringing Carnegie Hall's lullaby Project to las vegas, a program which helps pregnant moms in tough situations write personal lullabies for their babies. Notes with a Purpose collaborates with recognized, established institutions and nonprofits to provide the gift of music to their constituents. Clark County School District, Public Education Foundation, Las Vegas Rescue Mission, Las Vegas Academy Piano Department, Las Vegas Young Artists Orchestra, Nathan Adelson Hospice, Sunrise Children's Foundation (2017-18), and the Las Vegas-Clark County Library District (2017-18) and their programs benefit from collaboration with Notes with a Purpose. 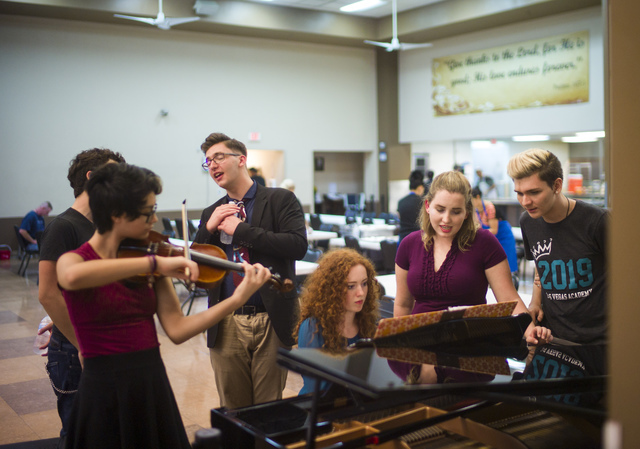 High school music students are provided opportunities to develop altruism, community awareness, confidence in public speaking, and satisfaction in their own artistic endeavors through "Wednesdays Live at the Mission." Our founder, Alexandria Le, was a graduate of Las Vegas Academy in 2001 (and a native of Las Vegas) and had sponsored visits to Title One schools and community venues which profoundly impacted her perspective. She hopes that NWP is able to provide the same encouragement to younger generations of students.